VEGAS, VEGAS, VEGAS! 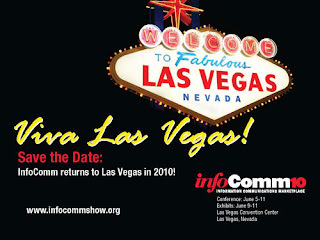 Exactly two short months from today we will be in Las Vegas for InfoComm 2010! InfoComm is the leading trade show for industry professionals in the audiovisual, information communications and systems integration industries. At this most forward-lookin g pro-AV event in the world, over 900 exhibitors bring the show floor to life, showcasing the latest technologies and hottest products on the market. Spectrum Industries will showcasing its latest innovative designs with technology and communications equipment, from Laptop Carts to Integrated Audio-Visual Lecterns. 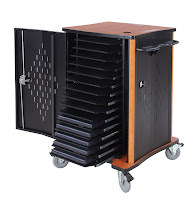 Stay tuned into our blog and InfoComm IQ website for updates of Spectrum's new 2010 leading-edge products to be featured at InfoComm 2010. 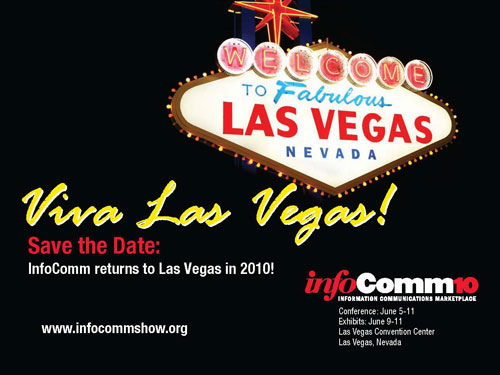 Attendees of InfoComm 2010 conference and exhibition may visit Spectrum Industries at booth #C4463.